Sasangohar, F., Scott, S.D., Cummings, M.L. (2014). Supervisory-level Interruption Recovery in Time-critical Control Tasks. Applied Ergonomics: Human Factors in Technology and Society (Elsevier), July 2014, 45 (4), 1148-1156 (available online February 28, 2014). Wallace, J.R., Scott S.D., Lai, E., and Jajalla, D. (2011). Investigating the Role of a Large, Shared Display in Multi-Display Environments. Computer-Supported Cooperative Work (CSCW), 20(6) (Dec 2011), 529-561. Tang, C., Carpendale, S., & Scott, S.D. (2010). InfoFlow Framework for Evaluating New Healthcare Technologies, International Journal of Human-Computer Interaction, 26 (5), May 2010, 477-505. Wallace, J.R., Scott S.D., Stutz, T., Enns, T. and Inkpen, K.M. (2009). 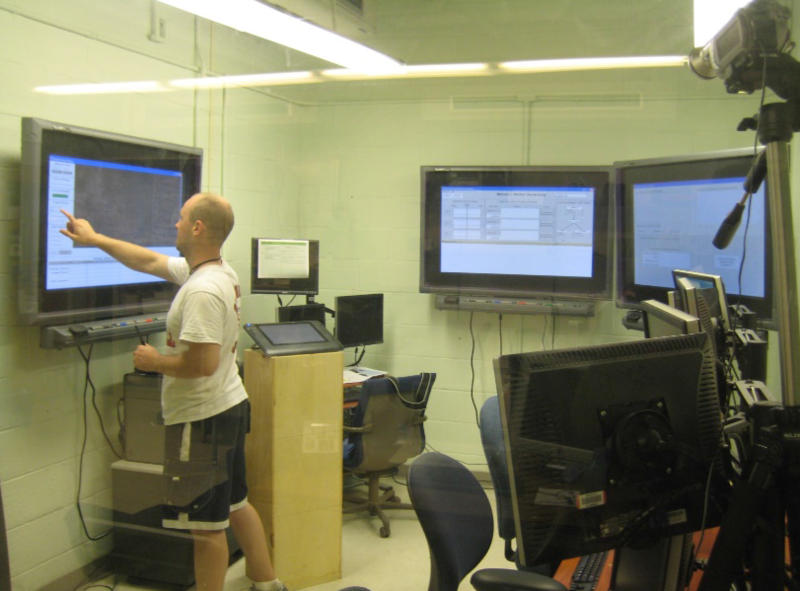 Investigating Teamwork and Taskwork in Single and Multi-Display Groupware Systems. Personal and Ubiquitous Computing: Special Issue on Interaction with Coupled and Public Displays. 13 (8), pp 569-581. (Published through Springer OnlineFirst, June 25, 2009). Drury, J.L. & Scott, S.D. (2008). Awareness in Unmanned Aerial Vehicle Operations. International Journal of Command and Control: Special Issue on Awareness in Command and Control Environments, 2(1), 1-28. Scott, S.D. & Carpendale, S. (2006). Guest Editors' Introduction: Interacting with Digital Tabletops. IEEE Computer Graphics & Applications: Special Issue on Interacting with Digital Tabletops, 26(5), September/October 2006, 24-27. Scott, S.D., Carpendale, S., & Habelski, S. (2005). Storage Bins: Mobile Storage for Collaborative Tabletop Displays. IEEE Computer Graphics & Applications: Special Issue on Large Displays, 25(4), July/August 2005, 58-65. Kruger, R., Carpendale, M.S.T., Scott, S.D., Greenberg, S. (2004). Roles of Orientation in Tabletop Collaboration: Comprehension, Coordination and Communication. In Journal of Computer Supported Cooperative Work, 13(5-6), 501-537. Scott, S.D., Mandryk, R.L., & Inkpen, K.L. (2003). Understanding Children's Collaborative Interactions in Shared Environments. Journal of Computer-Assisted Learning, 19(2), 220-228. Carpendale, S. and Scott, S.D. (2016). Humanizing the Digital Interface (Theme 1 Introduction). In F.O. Maurer (ed.). SURFNET: Designing Digital Surface Applications, NSERC SurfNet, University of Calgary, Calgary, AB, 19-25. ISBN 978-0-88953-388-2-(PDF). Scott, S.D., Besacier, G., McClelland, P., Tournet, J., Goyal, N., Cento, F. (2015). Cross-Device Content Transfer in Table-Centric Multi-Surface Environments. In F.O. Maurer (ed.). SURFNET: Designing Digital Surface Applications, NSERC SurfNet, University of Calgary, Calgary, AB, 53-79. ISBN 978-0-88953-388-2-(PDF). Bortolaso, C., Graham, T.C.N., Scott, S.D., Oskamp, M. Brown, D., Porter, L. (2016). OrMiS: Use of a Digital Surface for Simulation-Based Training. In F.O. Maurer (ed.). SURFNET: Designing Digital Surface Applications, NSERC SurfNet, University of Calgary, Calgary, AB, 313-331. ISBN 978-0-88953-388-2-(PDF). Scott, S.D. & Carpendale, S. (2010). Theory of Tabletop Territoriality. In C. Müller-Tomfelde (ed. ), Tabletops - Horizontal Interactive Displays, Springer (HCI Series), (ISBN: 978-1-84996-112-7), 375-406. Scott, S.D. (2018). Interfaces for Farm Animals and their Caretakers in Outdoor (and Harsh Indoor) Computing Contexts. Proceedings of the Workshop on HCI Outdoors: A CHI 2018 Workshop on Understanding Human-Computer Interaction in the Outdoors, Workshop at the Conference on Human Factors in Computing Systems, April 21-26, 2018, Montreal, QC, Canada. Wallace, J.R., Houben, S., Anslow, C., Lucero, A., Rogers, Y., Scott, S.D. (2017). The Disappearing Tabletop: Social and Technical Challenges for Cross-Surface Collaboration. Proceedings of ISS 2017: ACM Conference on Interactive Surfaces and Spaces, October 17-20, 2017, Brighton, UK, 482-487. Homaeian, L., Goyal, N., Wallace, J.R., Scott, S.D. (2017). Investigating Communication Grounding in Cross-Surface Interaction. Proceedings of ISS 2017: ACM Conference on Interactive Surfaces and Spaces, October 17-20, 2017, Brighton, UK, 348-353. Susindar, S., Sasangohar, F., Scott, S., Cummings, M. (2017) Investigating the Location of an Interruption Recovery Tool for Supervisory-Level Command and Control Missions. Proceedings of HFES 2017: Annual Meeting of the Human Factors and Ergonmics Society, October 9-13, 2017, Austin, TX, USA. MacGregor, C.G., Scott, S.D., Borland, M.J. (2017). Using Accountability Logs to Assess Individual Student Contributions to Capstone Projects: What happens when one student on a team fails? Proceedings of the Canadian Engineering Association Association Annual Conference 2017 (CEEA 2017), June 4-7, 2017, Toronto, ON, Canada. Homaeian, L., Wallace, J., and Scott, S.D. (2016). Designing Multi-Surface Environments to Support Collaborative Sensemaking. Cross-Surface Workshop: Challenges and Opportunities of Spatial and Proxemic. Held with ISS 2016: ACM International Conference on Interactive Surfaces and Spaces, November 6-9, 2016, Niagara Falls, ON, Canada. Cheung, V. & Scott, S.D. (2016). Proxemics-Based Visual Concepts to Attract and Engage Public Display Users: Adaptive Content Motion and Adaptive User Shadow. Extended Abstracts of ISS 2016: ACM International Conference on Interactive Surfaces and Spaces Demonstrations, November 6-9, 2016, Niagara Falls, ON, Canada. Cheung, V. & Wallace, J.R. (2016). Quantum Cats: The Demo. Extended Abstracts of ISS 2016: ACM International Conference on Interactive Surfaces and Spaces Demonstrations, November 6-9, 2016, Niagara Falls, ON, Canada. Cheung, V. & Wallace, J.R. (2016). Felines, Foragers, and Physicists: Supporting Scientific Outreach with Multi-Surface and Multi-Space Games. Proceedings of ISS 2016: ACM International Conference on Interactive Surfaces and Spaces Demonstrations, November 6-9, 2016, Niagara Falls, ON, Canada. Harris, J., Hancock, M., Scott, S.D. (2016). Leveraging Asymmetries in Multiplayer Games: Investigating Design Elements of Interdependent Play. Proceedings of CHI Play 2016: ACM Annual Symposium on Computer-Human Interaction in Play, October 16-19, 2016, Austin, TX. Cheung, V. & Scott, S.D. (2015). Studying Attraction Power in Proxemics-Based Visual Concepts for Large Public Interactive Displays. Proceedings of ITS 2015: ACM Conference on Interactive Tabletops and Surfaces, November 16-18, 2015, Madeira, Portugal, 93-102. Cheung, V. & Scott, S.D. (2015). A Laboratory-based Study Methodology to Investigate Attraction Power of Large Public Interactive Displays. Proceedings of UBICOMP 2015: ACM Conference on Ubiquitous and Pervasive Computing, Osaka, Japan, 1239-1250. Kuzminykh, A., Scott, S.D., Wallace, J., Lank, E. (2015). How to Measure Social Presence: The Role of Speech Patterns. Poster at Graphics Interface 2015, June 3-5, 2015, Halifax, NS. Kuzminykh, A. (2015). Presence & Co-Presence in Remote and Co-located remote collaboration. In CSCW 2015 Workshop on Supporting “Local Remote” Collaboration: Applying and Adapting Remote Group Awareness Techniques to Co-located Settings, March 14-18, 2015, Vancouver, BC. Cheung, V. (2014). Improving Interaction Discoverability in Large Public Interactive Displays. Doctoral Symposium of ITS 2014: ACM Conference on Interactive Tabletops and Surfaces, November 16-19, 2014, Dresden Germany. Cheung, V., Watson, D., Vermeulen, J., Hancock, M., Scott, S.D. (2014). Overcoming Interaction Barriers in Large Public Displays Using Personal Devices. Extended Abstracts of ITS 2014: ACM Conference on Interactive Tabletops and Surfaces, November 16-19, 2014, Dresden, Germany, 375-380. Langer, R., Hancock, M., Scott, S.D. (2014). Suspenseful Design: Engaging Emotionally with ComplexApplications through Compelling Narratives. Proceedings of GEM 2014: IEEE Conference on Games, Entertainment and Media, October 22-24, 2014, Toronto, ON, 1-8. Harris, J., Hancock, M., Scott, S.D. (2014). "Beam Me 'Round, Scotty! ": Exploring the Effectof Inter-dependence in Asymmetric Cooperative Games. Extended Abstracts of CHI Play 2014: ACM Annual Symposium on Computer-Human Interaction in Play, October 19-22, 2014, Toronto, ON, 417-418. Bortolaso, C., Graham, T.C.N., Scott, S.D., Oskamp, M., Brown, D., Porter, L. (2014). From Personal Computers to Collaborative Digital Tabletops to Support Simulation Based-Training. Proceedings of ICCRTS 2014: 19th Annual International Command and Control Research and Technology Symposium, June 16-19, Alexandria, VA.
Chang, Y.-L.B., Scott, S.D., Hancock, M., (2014). Improving Situation Awareness with an Interactive Event Timeline in Collaborative Tabletop Interfaces. 5th Annual GRAND Conference (Graphics, Animation and New Media), Ottawa, ON, May 14-16, 2014, 185-194. Besacier, G., Tournet, J., Goyal, N., Cento, F., Scott, S.D. (2014). Object and Arm Shadows: Visual Feedback for Cross-Device Transfer (Interactivity Demo). Extended Abstracts of CHI 2014: ACM Conference on Human Factors of Computing Systems, April 26-May 1, 2014, Toronto, ON, Canada, 463-466. (Video Preview, Full Video). Lindlbauer, D., Haller, M., Hancock, M.S., Scott, S.D., Stuerzlinger, W. (2013). Perceptual Grouping: Selection Assistance for Digital Sketching. Proceedings of ACM ITS 2013: ACM Conference on Interactive Tabletops and Surfaces, October 6-9, 2013, St. Andrews, Scotland, 51-60. Cheung, V., Scott, S.D. (2013). Investigating Attraction and Engagement of Animation on Large Interactive Walls in Public Settings. Extended Abstracts of ITS 2013: ACM Conference on Interactive Tabletops and Surfaces, October 6-9, 2013, St. Andrews, Scotland, 381-384. Chang, Y.-L.B., Mengual, M., Parfett, B., Graham, T.N., Hancock, M., Scott, S.D. (2013). Improving Awareness of Automated Actions using an Interactive Event Timeline. Proceedings of ITS 2013: ACM Conference on Interactive Tabletops and Surfaces, October 6-9, 2013, St. Andrews, Scotland, 353-356. Tournet, J., Besacier, G., Goyal, N., McClelland, P.J., Scott, S.D. (2013). Comparing Visual Feedback Techniques for Object Transfer between Private and Shared Surfaces. Proceedings of ITS 2013: ACM Conference on Interactive Tabletops and Surfaces, October 6-9, 2013, St. Andrews, Scotland, 377-380. Sasangohar, F., Scott, S.D., Donmez, B. (2013). Interruption Management and Recovery in Time-critical Supervisory-level Tasks: A Literature Review. Proceedings of HFES 2013: Annual Meeting of the Human Factors and Ergonomics Society,September 30-October 4, 2013, San Diego, CA, USA, 1745-1749. Alqahtani, M., Histon, J.M., Scott, S.D. (2013) Designing an Interruption Management Experiment: Evaluating the Working Awareness Interruption Tool (Wait) For Air Traffic Controllers. Proceedings of CASI 2013: Canadian Aeronautics and Space Institute 60th Aeronautics Conference and Annual General Meeting (Online Proceedings), April 30-May 2, 2013, Toronto, ON. Wallace, J.R., Scott, S.D., MacGregor, C.G. (2013). 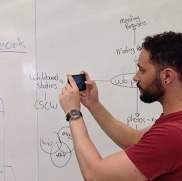 Collaborative Sensemaking on a Digital Tabletop and Personal Tablets: Prioritization, Comparisons, and Tableaux. Proceedings of CHI 2013: ACM Conference on Human Factors in Computing Systems, April 27-May 2, 2013, Paris, France, 3345-3354. Ion, A., Chang, Y.-L.B., Haller, M., Hancock, M., Scott, S.D. (2013). Canyon: Providing Location Awareness of Multiple Moving Objects in a Detail View on Large Displays. Proceedings of CHI 2013: ACM Conference on Human Factors in Computing Systems, April 27-May 2, 2013, Paris, France, 3149-3158. (Vimeo video (preview version), (full version)). Seto, M., Scott, S.D., Hancock, M. (2012). Investigating Menu Discoverability on a Digital Tabletop in a Public Setting. Proceedings of ITS 2012: ACM International Conference on Interactive Tabletops and Surfaces, Cambridge, MA, November 11-14, 2012, 71-80. Scott, S.D., McClelland, P., Besacier, G. (2012). Bridging Private and Shared Interaction Surfaces in Co-located Group Settings.Extended Abstracts of ITS 2012: ACM International Conference on Interactive Tabletops and Surfaces, Cambridge, MA, November 11-14, 2012, 403-406. Cheung, V., Heydekorn, J., Scott, S.D., Dachselt, R. (2012). Revisiting Hovering: Interaction Guides for Interactive Surfaces. Extended Abstracts of ITS 2012: ACM International Conference on Interactive Tabletops and Surfaces, Cambridge, MA, November 11-14, 2012, 355-358. Chang, Y.-L.B., Scott, S.D., Hancock, M., Pape, J., Graham, T.C.N. (2012). Improving the Social Gaming Experience by Comparing Physical and Digital Tabletop Board Games. Presented at the Workshop on Conceptualising, Operationalising and Measuring the Player Experience in Videogames at Fun and Games 2012, Toulouse, France, September 4-6, 2012. Ouellet, J.-N., Harvey, E.R., Echevarria, J., Franck, G., Scott, S.D. (2012). Computer vision application using the Kinect sensor for the identification and tracking of users interacting with a surface computing platform. Proceedings of the 2012 Applied Vision and Robotics Workshop, Montreal, QC, May 8-9, 2012, 74-86. Seifried, T., Haller, M., Rendl, C., Scott, S.D. (2012). Regional Undo/Redo Techniques for Large Interactive Surfaces. Proceedings of CHI 2012: ACM Conference on Human Factors in Computing Systems, Austin, TX, May 5-10, 2012, 2855-2864. (YouTube video (preview version), (full version)). Cheung, V., Chang, Y.-L., Scott, S.D. (2012). Communication Channels and Awareness Cues in Collocated Collaborative Time-Critical Gaming. Proceedings of CSCW 2012: ACM Conference on Computer-Supported Cooperative Work, Seattle, WA, February 11-15, 2012, 569-578. Wallace, J.R., Pape, J., Chang, Y.-L.B., McClelland, P.J., Graham, T.C.N., Scott, S.D., Hancock, M. (2012). Exploring Automation in Digital Tabletop Board Games. Extended Abstracts of CSCW 2012: ACM Conference on Computer-Supported Cooperative Work, Seattle, WA, February 11-15, 2012, 231-234. Genest, A.M., Bateman, S., Tang, A., Scott, S., Gutwin, C. (2012). Why Expressiveness Matters in Command & Control Visualizations. Presented at the Workshop on Crisis Informatics at CSCW 2012: ACM Conference on Computer-Supported Cooperative Work, Seattle, WA, February 11, 2012. Cheaib, N., Cheung, V., Cerar, K., Scott, S.D. (2011). A Multi-Agency Collaboration and Coordination Hub (MACCH). Poster Presentation at Graphics Interface 2011. St. John's, NF, May 25-27, 2011. McClelland, P., Whitmell, S., Scott, S.D. (2011). Investigating Communication and Social Practices in Real-Time Strategy Games: Are In-Game Tools Sufficient to Support the Overall Gaming Experience? In Proceedings of Graphics Interface 2011. St. John's, NF, May 25-27, 2011, 215-222. Cheung, V., Cheaib, N., Scott, S.D. (2011). 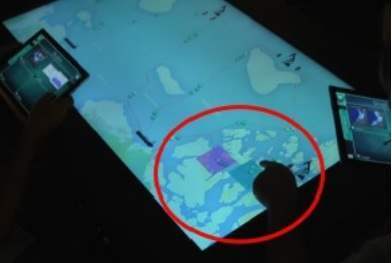 Interactive Surface Technology for a Mobile Command Centre. In Extended Abstracts of CHI2011: ACM International Conference on Human Factors in Computing Systems. Vancouver, BC, May 7-12, 2011, 1771-1776. Hunter, S., Maes, P., Scott, S., Kaufman, H. (2011). MemTable: An Integrated System for Capture and Recall of Shared Histories in Group Workspaces. In Proceedings of CHI2011: ACM International Conference on Human Factors in Computing Systems. Vancouver, BC, May 7-12, 2011, 3305-3314. McKay, P., Scott, S.D., Histon, J., Torenvliet, G. (2011). A Video Prototyping Methodology for Evaluating Novel Interface Concepts In Cockpit Displays. In Proceedings of ISAP2011: 16th International Symposium on Aviation Psychology. Dayton, OH, May 2-5, 2011. Glussich, D., Histon, J.M., Scott, S.D. (2011). Application of Communication Grounding Framework to Assess Effectiveness of Human-Automation Interface Design: A TCAS Case Study. In Proceedings of ISAP2011: 16th International Symposium on Aviation Psychology. Dayton, OH, May 2-5, 2011. Kelly, A.R., Wallace, J.R., Cerar, K., Randall, N., McClelland, P., Seto, A.M. (2010). Solar Scramble: an Educational Children's Game for Collaborative Multi-touch Digital Tabletops. In Proceedings of ACM International Conference on Design of Communication (SIGDOC), São Carlos-São Paulo, Brazil, September 26-29, 2010, pp. 27-32. Scott, S.D., Allavena, A., Cerar, K., Franck, G., Hazen, M., Shuter, T., Colliver, C. (2010). Investigating Tabletop Interfaces to Support Collaborative Decision-Making in Maritime Operations. In Proceedings of ICCRTS 2010: International Command and Control Research and Technology Symposium (CD-ROM Proceedings), Santa Monica, CA, USA, June 22-24, 2010. Seifried, T., Haller, M., Scott, S.D., Perteneder, F., Rendl, C., Sakamoto, D., Inami, M. (2009). CRISTAL: A Collaborative Home Media and Device Controller Based on a Multi-touch Display. Proceedings of ITS 2009: ACM International Conference on Interactive Tabletops and Surfaces, Banff, AB, November 23-25, 2009, 37-44. McClelland, P.J., Whitmell, S.J., Tangao, K., & Scott, S.D. (2009). ASPECTS: A Support Tool for Collaborative Strategic Planning and Asset Allocation Tasks, Conference Supplement of ITS 2009: ACM International Conference of Interactive Tabletops and Surfaces. Banff, AB, November 23-25, 2009. H.Gashti, S., Chen, L. & Scott, S.D. (2009). Investigating the Impact of Table Size on Collaborative Problem-Solving. Conference. Supplement of ITS 2009: ACM International Conference of Interactive Tabletops and Surfaces. Banff, AB, November 23-25, 2009. Seifried, T., Rendl, C., Perteneder, F., Leitner, J., Haller, M., Sakamoto, D., Inami, M., Scott, S.D. (2009). CRISTAL, Control of Remotely Interfaced Systems using Touch-based Actions in Living Spaces. E-Tech Demonstration at SIGGRAPH 2009: ACM International Conference and Exhibition on Computer Graphics and Interactive Technologies, New Orleans, LA, August 4-6, 2009. Histon, J.M., Scott, S.D. (2009). Expert Panels as a Means of Engaging Students in the Applications of Human Factors. Proceedings of HFES 2009: 53rd Annual Meeting of the Human Factors and Ergonomic Society, October 19-23, 2009, San Antonio, TX, USA, 474-478. Burns, C., Torenvliet, G., Chalmers, B., Scott, S.D. (2009). Work Domain Analysis for Establishing Collaborative Work Requirements. Proceedings of HFES 2009: 53rd Annual Meeting of the Human Factors and Ergonomic Society, October 19-23, 2009, San Antonio, TX, USA, 314-318. MacKay, P., Scott, S.D., Histon, J.M., & Torenvliet, G.L. (2009). Investigating Interaction Conflicts in Collaborative Cockpit Displays. Proceedings of AIAA Infotech@Aerospace 2009 Conference and Exhibit. April 6-9, 2009, Seattle, WA, USA. Scott, S.D., Sasangohar, F., Cummings, M.L. (2009). Investigating Supervisory-level Activity Awareness Displays for Command and Control Operations. Proceedings of HSIS 2009: Human Systems Integration Symposium, March 17-19, 2009, Annapolis, MD, USA. Scott, S.D., Sasangohar, F., Cummings, M.L. (2008). Assisting Team Supervision in Semi-Autonomous Unmanned Vehicle Operations. Presentation at UVS Canada: Conference on Unmanned Vehicle Systems Canada, November 4-7, 2008, Ottawa, ON, Canada. Wallace, J.R. & Scott, S.D. (2008). Contextual Design Considerations for Co-located, Collaborative Tables. In Proceedings of IEEE Workshop on Tabletop and Interactive Surfaces 2008, October 1-3, 2008, Amsterdam, The Netherlands, pp 57-64. Scott, S.D. (2008). Assisting Collaborative Decision Making in Complex Environments (Invited Paper). In Proceedings of the 2nd International Conference on Applied Human Factors and Ergonomics (CD-Proceedings), July 14-17, 2008, Las Vegas, NV, USA. Scott, S.D., Wan, J., Sasangohar, F., Cummings, M.L. (2008). Mitigating Supervisory-level Interruptions in Mission Control Operations. In Proceedings of 2nd International Conference on Applied Human Factors and Ergonomics (CD-Proceedings), July 14-17, 2008, Las Vegas, NV, USA. H.Gashti, S., McKay, P. Sasangohar, F., Wallace, J.R., & Scott, S.D. (2008). Recovery Central: Interruption Recovery in Distributed Meetings. Poster Presentation at GI 2008: 34th Annual Graphics Interface Conference, May 28-30, 2008, Windsor, ON, Canada. Wallace, J.R., Enns, T., Stutz, T. & Scott, S.D. (2008). Exploring Teamwork and Taskwork in Multi-Display Groupware. Poster Presentation at GI 2008: 34th Annual Graphics Interface Conference, May 28-30, 2008, Windsor, ON, Canada. Ashdown, M., Scott, S.D. (2007). Designing Tabletop Interfaces for Asymmetric Distributed Collaboration. In Conference Supplement of Tabletop 2007: IEEE Int'l Workshop on Horizontal Interactive Human-Computer Systems, October 10-12, 2007, Newport, RI, USA. Scott, S.D., Wan, J., Rico, A., Furusho, C., & Cummings, M.L. (2007). Aiding Team Supervision in Command and Control Operations with Large-Screen Displays. In Proceedings of HSIS 2007: ASNE Human Systems Integration Symposium, March 19-21, 2007, Annapolis, MD, USA. Cummings, M.L., Myers, K., & Scott, S.D. (2006). Modified Cooper Harper Evaluation Tool for Unmanned Vehicle Displays. In Proceedings of UVS Canada: Conference on Unmanned Vehicle Systems Canada, November 8-10, 2006, Montebello, PQ, Canada. Carpendale, S., Isenberg, T., Scott, S.D., Hinrichs, U., Miede, A., Kruger, R., Habelski, S., Inkpen, K.M. (2006). Collaborative Interaction on Large Tabletop Displays. In Adjunct Proceedings of CSCW 2006: ACM Conference on Computer-Supported Cooperative Work, November 4-8, Banff, AB, Canada. Scott, S.D., Mercier, S., Cummings, M.L., & Wang, E. (2006). Assisting Interruption Recovery in Supervisory Control of Multiple UAVs. In Proceedings of HFES 2006: 50th Annual Meeting of the Human Factors and Ergonomic Society, October 16-20, 2006, San Francisco, CA, USA, 699-703. Nehme, C.E., Scott, S.D., Cummings, M.L., & Furusho, C.Y. (2006). Generating Requirements for Futuristic Heterogeneous Unmanned Systems. In Proceedings of HFES 2006: 50th Annual Meeting of the Human Factors and Ergonomic Society, October 16-20, 2006, San Francisco, CA, USA, 235-239. Scott, S.D., Cummings, M.L., Graeber, D.A., Nelson, W.T., & Bolia, R.S. (2006). Collaboration Technology in Military Team Operations: Lessons Learned from the Corporate Domain. In Proceedings of CCRTS 2006: the Command and Control Research and Technology Symposium, June 20-22, 2006, San Diego, CA, USA. Hinrichs, U., Carpendale, S., & Scott, S.D. (2006). Evaluating the Effects of Fluid Interface Components on Tabletop Collaboration. In Proceedings of Advanced Visual Interfaces, May 23-26, 2006, Venice, Italy, 27-34. Hinrichs, U., Carpendale, S., & Scott, S.D., Pattison, E. (2005). Interface Currents: Supporting Fluent Collaboration on Tabletop Displays. In Proceedings of Symposium on Smart Graphics 2005, August, 22-24, 2005, Frauenwoerth Cloister, Germany, 185-197. Inkpen, K., Hawkey, K., Kellar, M., Mandryk, R., Parker, K.,Reilly, D., Scott, S., & Whalen, T. (2005). Exploring Display Factors that Influence Co-Located Collaboration: Angle, Size, Number, and User Arrangement. In Proceedings of HCI International 2005, July 22-27, 2005, Las Vegas, NV. Kruger, R., Carpendale, S., Scott, S.D., Tang, A. (2005). Fluid Integration of Rotation and Translation. In Proceedings of the ACM Conference on Human Factors in Computing Systems (CHI)'05, April 2-7, 2005, Portland, Oregon, USA, 601-610. Scott, S.D., Carpendale, M.S.T, & Inkpen, K.M. (2004). Territoriality in Collaborative Tabletop Workspaces. In Proceedings of the ACM Conference on Computer-Supported Cooperative Work (CSCW)'04, November 6-10, 2004, Chicago, IL, USA, 294-303. Tse, E., Histon, J., Scott, S.D., & Greenberg, S. (2004). Avoiding Interference: How People Use Spatial Separation and Partitioning in SDG Workspaces. In Proceedings of the ACM Conference on Computer-Supported Cooperative Work (CSCW)'04, November 6-10, 2004, Chicago, IL, USA, 252-261. Scott, S.D. (2003). Territory-Based Interaction Techniques for Tabletop Collaboration. In Conference Supplement of Symposium on User Interface Software and Technologies (UIST) 2003, Nov. 2003, Vancouver, BC, 17-20. Kruger, R., Carpendale, M.S.T., Scott, S.D., & Greenberg, S. (2003). How People Use Orientation on Tables: Comprehension, Coordination and Communication. In Proceedings of Conference on Supporting Group Work (GROUP) 2003, Nov. 2003, Sanibel Island, FL, USA. Scott, S.D., Grant, K.D., & Mandryk, R.L. (2003). System Guidelines for Co-located, Collaborative Work on a Tabletop Display. In Proceedings of European Conference Computer-Supported Cooperative Work (ECSCW) 2003, Sept. 2003, Helsinki, Finland, 159-178. Mandryk, R.L., Scott, S.D., & Inkpen, K.L. (2002). Display Factors Influencing Co-located Collaboration. In Conference Supplement of the ACM Conference on Computer-Supported Cooperative Work (CSCW)'02, November 16-20, 2002, New Orleans, LA, USA. Scott, S.D., Lesh, N., & Klau, G.W. (2002). Investigating Human-Computer Optimization. In Proceedings of the Conference on Human Factors in Computing Systems (CHI)'02, April 2002, Minneapolis, MN, USA, 155-162. Scott, S.D., Mandryk, R.L, & Inkpen, K.M. (2002). Understanding Children's Interactions in Synchronous Shared Environments. In Proceedings of Computer Supported Collaborative Learning (CSCL)'02, January 2002, Bolder, CO, USA, 333-341. Scott, S.D., Shoemaker, G.B.D, and Inkpen, K.M. (2000). Towards Seamless Support of Natural Collaborative Interactions. In Proceedings of Graphics Interface (GI)'00, May 2000, Montreal, pp .103-110. Inkpen, K.M., Ho-Ching, W., Kuederle, O., Scott, S.D., and Shoemaker, G.B.D. (1999). "This is fun! We're all best friends and we're all playing. ": Supporting children's synchronous collaboration. In Proceedings of Computer Supported Collaborative Learning (CSCL) '99. December 1999. Stanford, CA, 252-259. Varona-Marin, D., Fong, C., Tse, E., Trenholm-Boyle, M., & Segelken., W. (2015). Top Kapp: A Display Above a Whiteboard to Support Inquiry-Based Active Learning. In ITS 2015: ACM International Conference on Interactive Tabletops and Surfaces: Workshop on Architecting Collaborative Learning Places, November 2015, Madeira, Portugal. Chang, Y.-L.B., Hancock, M., Scott, S.D., Pape, J., Graham, T.C.N. (2012). Improving the Social Gaming Experience by Comparing Physical and Digital Tabletop Board Games. In Fun and Games 2012: The 4th International Conference on Fun and Games: Workshop on Conceptualising, Operationalising and Measuring the Player Experience in Videogames, September 2012, Toulouse, France. Scott, S.D. (2004). Repurposing Social Science Theories to Design and Evaluate Co-located Collaboration Technologies. In CSCW 2004: ACM Conference on Conference on Computer-Supported Cooperative Work: Workshop on Methodologies for Evaluating Collaboration in Co-located Environments, November 2004, Chicago, IL, USA. Scott, S.D. (2002). Exploring Tabletop Collaboration. In UBICOMP 2002: Conference on Ubiquitous Computing: Workshop on Collaboration with Interactive Walls and Tables, September 2002, Göteborg, Sweden. Inkpen, K.M., Mandryk, R.L., Scott, S.D. (2000). The EDGE of Face-to-Face Collaborative Technology. In CSCW 2000: ACM Conference on Conference on Computer-Supported Cooperative Work: Workshop on Shared Environments to Support Face-to-Face Collaboration, December, 2000, Philadelphia, PA, USA. Cummings, M.L., Scott, S.D., Wang, E. (2006). MIT Humans and Technology Symposium, January 23-27, 2006, Cambridge, MA, USA. Gates, C., Hawkey, K., Kollet, Y., MacInnes, J., Rouse, J., Spierenburg, P., & Scott, S. (2002). Annual Dalhousie Computer Science In-House (DCSI) Conference, Sept. 20-21, 2002, Halifax, NS, Canada. Scott, S.D., Besacier, G., McClelland, P., Tournet, J., Goyal, N. and Cento, F. (2015). Cross-Device Content Transfer in Table-Centric Multi-Surface Environments. Technical Report CSL2015-01, Collaborative Systems Laboratory, University of Waterloo, Waterloo, ON, Canada. Scott, S.D., Allavena, A., Cerar, K., McClelland, P., Cheung, V., Jajalla, D. (2010). Designing and Assessing a Multi-User Tabletop Interface To Support Collaborative Decision-Making Involving Dynamic Geospatial Data. Technical Report CSL2010-02, Collaborative Systems Laboratory, University of Waterloo, Waterloo, ON, Canada. Scott, S.D., Allavena, A. (2010). 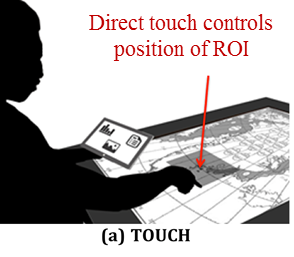 Investigation of a Prototype Naval Planning Tool for Tabletop Computing Research . Technical Report CSL2010-01, Collaborative Systems Laboratory, University of Waterloo, Waterloo, ON, Canada. Da Silva, F.B., Scott, S.D., Cummings, M.L. (2007). Design Methodology for Unmanned Aerial Vehicles. Technical Report HAL2007-05, Humans and Automation Laboratory, Massachusetts Institute of Technology, Cambridge, MA, USA. Scott, S.D. & Cummings, M.L. (2007). An Experimental Platform for Investigating Decision and Collaboration Technologies in Time-Sensitive Mission Control Operations. Technical Report HAL2007-04, Humans and Automation Laboratory, Massachusetts Institute of Technology, Cambridge, MA, USA. Isenberg, T., Nix, S., Schwarz, M., Miede, A., Scott, S.D., & Carpendale, S. (2007). Mobile Spatial Tools for Fluid Interaction. Technical Report 2007-872-24. Department of Computer Science, University of Calgary, Calgary, AB, Canada. Wan, J., Scott, S.D., & Cummings, M.L. (2007). Assisting Interruption Recovery in Mission Control Operations Technical Report HAL2007-03, Humans and Automation Laboratory, Massachusetts Institute of Technology, Cambridge, MA, USA. Scott, S.D. & Carpendale, S. (2006). Investigating Tabletop Territoriality in Digital Tabletop Workspaces, Technical Report 2006-836-29, Department of Computer Science, University of Calgary, Calgary, AB, Canada. Scott, S.D., Cummings, M.L. (2006). Cognitive Task Analysis for the LCS Operator. Technical Report HAL2006-01. Humans and Automation Laboratory, Massachusetts Institute of Technology, Cambridge, MA, USA. Scott, S.D., Carpendale, M.S.T., & Inkpen, K.M. (2004). Exploring Casual Tabletop Interactions. Technical Report 2004-742-07. Department of Computer Science, University of Calgary, Calgary, AB, Canada. Ghare, M. (2017). Investigating the Impact of Proximity and Visual Conation Modes on Enhancing Engagement with Public Large Interactive Displays. M.A.Sc.Thesis, Systems Design Engineering, University of Waterloo, Waterloo, Ontario, Canada. Chang, Y.-L. Betty (2016). Supporting Situation Awareness and Workspace Awareness in Co-located Collaborative Systems Involving Dynamic Data. Ph.D. Dissertation, Systems Design Engineering, University of Waterloo, Waterloo, Ontario, Canada. Cheung, V. (2016). 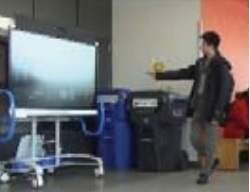 Increasing Passersby Engagement with Public Large Interactive Surfaces. Ph.D. Dissertation, Systems Design Engineering, University of Waterloo, Waterloo, Ontario, Canada. Varona-Marin, D. (2016). The Lifecycle of a Whiteboard Photo: Post-meeting Usage of Whiteboard Content Captured with Mobile Devices. M.A.Sc. Thesis, Systems Design Engineering, University of Waterloo, Waterloo, Ontario, Canada. Goyal, N. (2016). Investigating Data Exploration Techniques Involving Map Based Geotagged Data in a Collaborative Sensemaking Environment. M.A.Sc. Thesis, Systems Design Engineering, University of Waterloo, Waterloo, Ontario, Canada. Hajizadehgashti (Gashti), Sepinood (2012). Investigating the impact of table size on external cognition in collaborative problem-solving tabletop activities. M.A.Sc. Thesis, Systems Design Engineering, University of Waterloo, Waterloo, Ontario, Canada. Seto, A. Mindy (2012). Designing Discoverable Digital Tabletop Menus for Public Settings. M.A.Sc. Thesis, Systems Design Engineering, University of Waterloo, Waterloo, Ontario, Canada. Cerar, Katherine (2011). Examining the Impact of Increasing Location-Based Information Fidelity on Command Center Decision-Making. M.A.Sc. Thesis, Systems Design Engineering, University of Waterloo, Waterloo, Ontario, Canada. Sasangohar, Farzan (2009). Improving Interruption Recovery in Human-Supervisory Control (HSC). M.A.Sc. Thesis, Systems Design Engineering, University of Waterloo, Waterloo, Ontario, Canada. McKay, Paul (2009). Design of Collaborative Systems for Modern Cockpits M.A.Sc. Thesis, Systems DesignEngineering, University of Waterloo, Waterloo, Ontario, Canada. Scott, Stacey D. (2005). Territoriality in Collaborative Tabletop Workspaces. Ph.D. Dissertation, Department of Computer Science, University of Calgary, Calgary, Alberta, Canada, Defended March 2005.